Kinex Media in Toronto is the perfect abode where creativity meets intelligence. Founded in 2008 in Mississauga, Canada, Kinex Media is now recognized as the best digital agency. Kinex Media, a place where creativity, technology, and commerce are integrated to drive the business growth. The company provides services like Website Development, Website Designing, E-Commerce, and Marketing. As it is said, “Winning takes talent, to repeat takes character”. 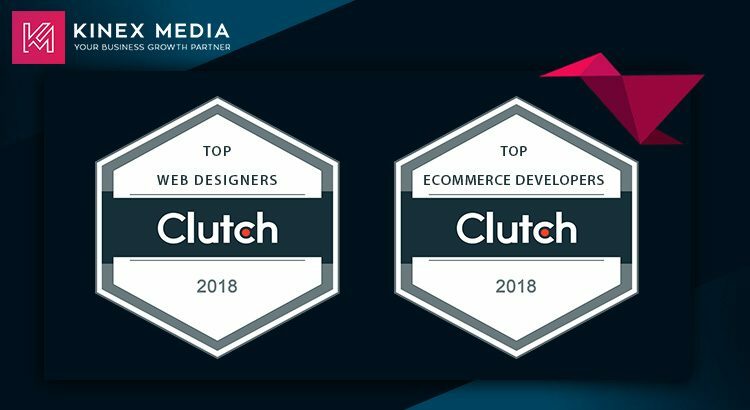 Awarded Top Web Designer in 2015 and Top SEO Firm and Top Digital Agency in 2016 in Canada by Clutch, once again Kinex Media proved its mettle to the world with the ultimate work. 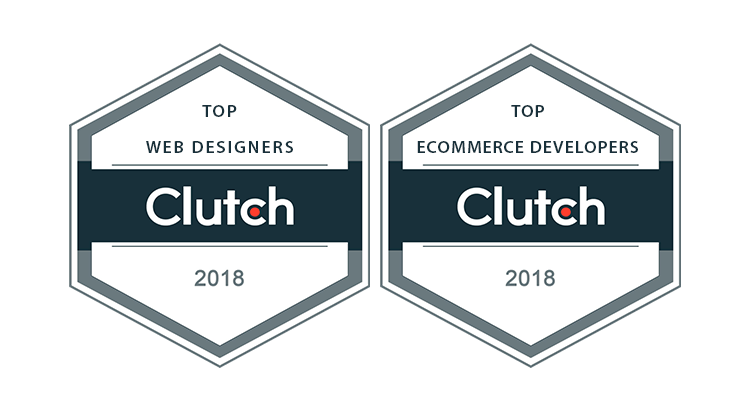 The company is recently awarded as the TOP WEB DESIGNERS, TOP ECOMMERCE DEVELOPER in Canada in 2018 by Clutch. Winning an award and that too from clutch is a big achievement and the company is proud to be a part of such a wonderful accomplishment. Clutch is a B2B research, rating, and review firm based in Washington D.C. Clutch is a self-governing organization that follows a strict pattern before presenting the awards. They follow a distinctive and strict methodology from organizing personal interviews with the company’s clients and having an in-depth research about their work. Clutch values the most significant companies in terms of work and performance. Following a logical and strategic approach for the effective running of a business is not an easy task. However, Kinex Media has followed the same and tries to use an effective approach for all the clients on daily basis. “Providing astonishing service to the clients is not an easy task. We try to implement distinctive strategies and a much logical approach by integrating the best designing and development experts along with the creative ideas and delivering high- quality results to boost the business”.- Amir Waheed- Co-Founder Kinex Media. The company is serving innumerable organizations from B2B, Entertainment, Construction, Manufacturing, and much more. Working in a diligent manner and making the clients contented is not an easy task in this cut-throat competition. The company tries to follow a customer-centric approach. Designing robust and eye-catching websites create an unimaginable experience for the customers. The company aims at developing a website using effective coding and styling methods which provides a seamless experience for the customers. The design is a visual form to interact with the customers which assist in a great way for the marketing team to develop the effective content. The company has the best-in-class Magento talent who use the cutting-edge technology and keeps their clients updated which have to lead them to achieve the award. The team follows a step by step approach of designing, developing, integrating and 24*7 support to the clients. “Achieving the clutch award and that too in this cut-throat competition is a challenging task. It depicts the company’s hard work and the ability to deliver eye-catching results. The Digital world is full of vigorous competition and to survive the odds, our organization is working continuously on providing customer satisfaction. We have a futuristic vision to continue the path of success and giving a different image to creativity”. – Karan Sharma-Co-Founder Kinex Media. The founders of Kinex Media believe that “Opportunities don’t happen. You create them”. The innovative team of the company has a different perspective of seeing the things. Incorporating creativity, coding, effectual designing and proper marketing techniques is their secret to make their client’s project successful. Blayne Lastman of Bad Boy Furniture said, “The Kinex team goes above and beyond to ensure that our needs are met, and they are always willing to spend the extra time to make sure that we understand everything and that we are making the right decisions”. Javier of Cargo Cabbie said, “We started working with Kinex about one year ago for our corporate website. From design services to their client relations they have been fantastic throughout, and we would highly recommend them to anyone looking for professional web design services!”.